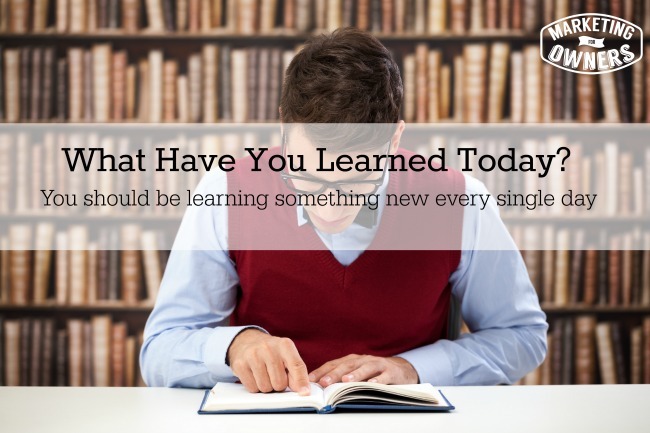 “You should always be learning something new.” That’s a common phrase that you hear in the business world, and you know what? It is definitely on point. I learn something new almost every single day. Some people look at me and think, “Jon — you’re a know it all. How could you possibly learn something new? You know EVERYTHING!” I really don’t know everything – honestly. Whatever your area of expertise is, you should be learning. There’s no excuse really. It’s easy to do. It’s not something that you have to pay to do. You don’t have to register to go to college or anything like that. Simply get online, look up what you want to know and start learning. It’s all there. Most of what you can learn online is either free, or very inexpensive. For example — you are either listening or watching this podcast. So while watching this podcast or listening to it, you will hopefully learn something from me today — and it didn’t cost you anything but a little bit of time. Google: You can Google anything you want to know about. There are also Google Hangouts. I really like Google Hangouts because it all meshes with the Google+ account and it helps further enhance your reputation. YouTube and Podcasts: You can watch podcasts, Youtube videos, website tutorials — there will be at least one video on how to do the thing you want to learn — and all of these are free ways that you can learn something. Webinars: There are webinars online — everyone is doing them these days. Free Online Sites: There are all sorts of free online sites like Khan Academy, Code Academy, LinderLearning — these are all great sites to learn from. In fact, Linder Learning is a great place to have any of your employees learn something new. They have thousands of teaching tutorials and it only costs about $29 a month. you should be working on your business not working in your business — but if you want to systematize that business, and show others how to do the work in a way that you want it to be done, you probably need a little understanding on how its to be done in the first place. Otherwise, your employees to you, will look like they know what they are doing and pull the wool over your eyes, so make it a point to learn everything you can. I am going to do my best to teach you something about marketing every single day. You can learn a lot of great tips and tricks on the blog and through these podcasts, or when my new course comes out (which will be free), it will teach you in each module how to build your business and market it to it’s best potential — but you will need to do it to actually learn something. Every single aspect of your business can be taken to a higher level if you know how to do it. All you have to do is find out what everyone else is doing — that’s called learning. The other day I went to the dentist in Canterbury, England. My dentist is a great dentist. If I lived in New York, however, I would want Michael Sinkin to be my dentist. 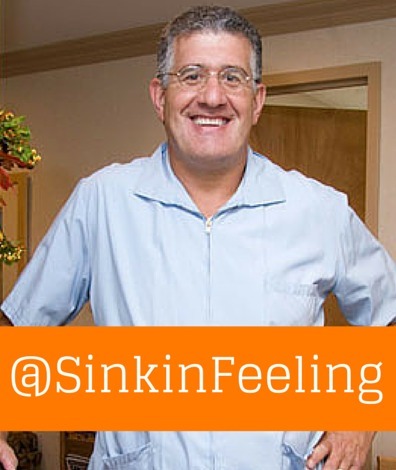 You can find him on Twitter @SinkinFeeling. He is really funny. He is a dentist that will make you laugh, and if you have ever been to the dentist, you want to make sure that he has a sense of humor — and Michael does. If you go to his website, you can tell he is the kind of dentist you would want to have. His website shows pictures of his office, his staff, outside his building — he really takes the time to show his potential patients that he cares about you and your teeth. I haven’t seen a dentist like that in a very long time. You get the feeling from his Twitter handle what the business is like, and that’s how it can work for you. See if you can find a way to do that in your own business. See if you can build your website to give your customers the same kind of feeling that his website does for you. So — what are you going to learn today?